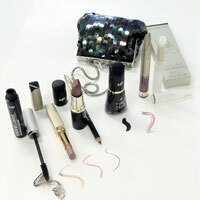 In 1930, Mr Max Factor invented lip gloss in Hollywood, to make lips appear super-glossy and shiny in films. Now, Max Factor takes high-shine and colour to the next level with the launch of its latest lip gloss innovation: NEW Colour Elixir Gloss. Featuring a clever combination smoothing mineral oil, nourishing candelilla wax and shine enhancers, these glamorous glosses deliver highly-pigmented colour, so you're set to get a super-glossy, stand out finish this Spring/ Summer. Available in five trend-led shades, it's time to let your lips do the talking with soft, summer-popping colours that look as smooth as they feel. Achieving a high-impact look is effortless with the specially-designed sponge applicator. It perfectly controls the formula to ensure the right amount of product is delivered onto the lips, and allows for building of colour intensity. The ultra-pigmented formula glides on smoothly, making the gloss ideal for wearing alone but lightweight enough to layer over lipstick for a high octane look. Statement lips were in no short supply on the SS14 catwalks, with flashes of hot fuchsia taking centre stage, interspersed amongst a sea of luxurious rosy nudes. Embrace these new super-silky neutrals with Colour Elixir Gloss in Lustrous Sand to enhance your natural lip tone with gorgeous minky-pink hues. Or, if stand-out colour is more your summer make-up style, try one of deeper pigments within the palette: create a daring pop of colour with Colour Elixir Gloss in Polished Fuchsia, layering the gloss to achieve alluring 3D lips with a real weightless feel. Whatever your glamour statement, these highly-pigmented, moisturising glosses give you all the shine you would expect from a gloss but with the nourishment and smooth feel of a balm. 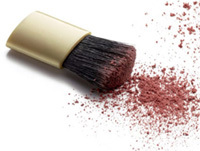 Max Factor Make-up Artist, Liz Kelsh comments, 'Whilst balms and tinted balm provide nourishment, they often appear dull on application and very much lack in high colour pigment. Max Factor Colour Elixir Glosses have the comfort of a balm yet a denser pigment content giving a much better colour pay off, especially with the darker shades. What's more, the shine is more gloss like so creates a fuller mouth shape." She continues, 'For me the standout shade just has to be Polished Fuchsia as it gives maximum impact and really ties in with this summer's focus on colourful lips. The end finish really is high shine colour. Perfect." Max Factor Colour Elixir Glosses are available in stores from October 2014 at RRP $19.95. Once you've perfected this season's must-have glossy lip, finish off your look with a matching high-shine manicure, applying Max Factor Glossfinity Nail Polish in fluorescent lush tones or milky pastels for some serious style at your fingertips.